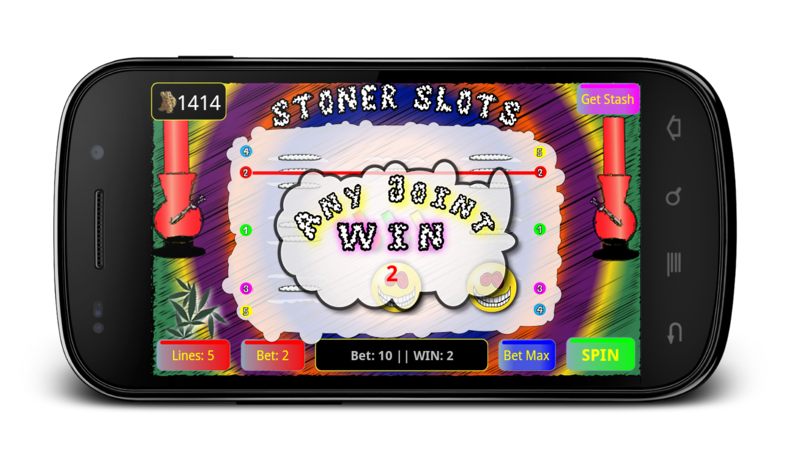 Home › Stoner Slots: Free Pot Slots – Vegas Style! Stoner Slots: Free Pot Slots – Vegas Style! 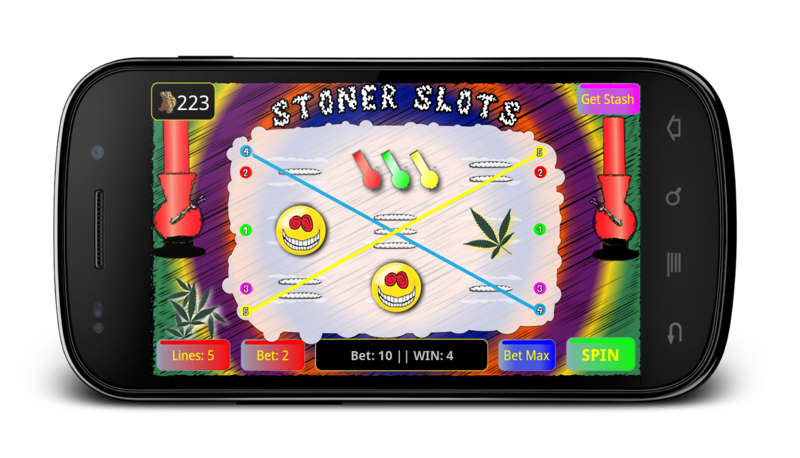 Hit the Mary Jane Jackpot with a fun and free slots game you just can’t puff-puff-pass up! Will the machine hookah-you-up with a match? The only way to know is to spin till you win! Progressive slots, Vegas style slots and free slots – several ways to match and play! So go ahead, place your bets and let the good times “roll!” Will you walk away a winner, or will your earnings go up in smoke? Relax – all earnings are virtual, so you can save your cash toward building a real-life stash! Join in on the fun and earn yourself a kush-y high score! Challenge your ganja groupies to beat your best! Be sure to check out all of the other addictively fun games from 2 The Left, Inc, like the Stoner Memory Test, Blitzed Bingo! You wont find this game on Amazon App Store, or on SlideMe. This game is exclusive – only on Google Play. Download and get your contact high right NOW!